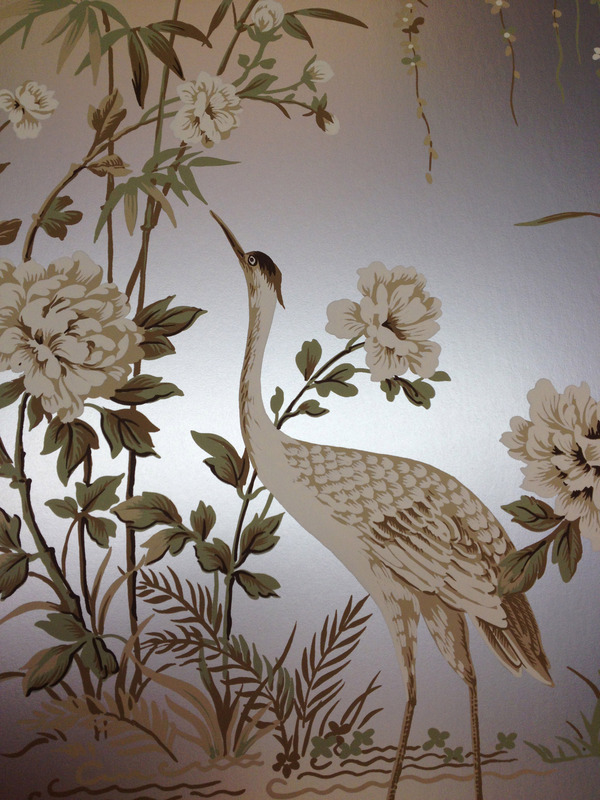 Schooner Prints is a unique, one of a kind, printing facility in that we not only offer Rotogravure machine printing, but hand printed silk screen wallcovering as well. 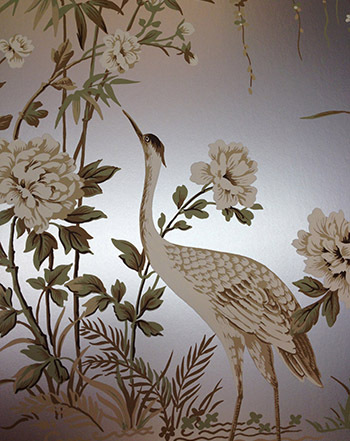 As a silk screen printing company for more than forty years Schooner has unparalleled printing skills and an extremely knowledgable staff that can assist clients in producing a wide array of hand printed wallcoverings. We have a full onsite darkroom, burning facility, screen stretchers and coaters, film printing units and a color matching studio. This in turn maximizes product quality and our control over the creative process. 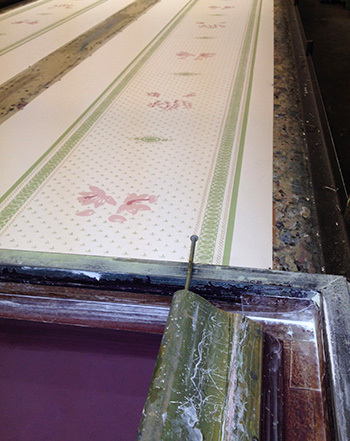 Silk screen printing is considered the largest scale fine art, and our hand printed wallcovering exudes those fine art qualities. 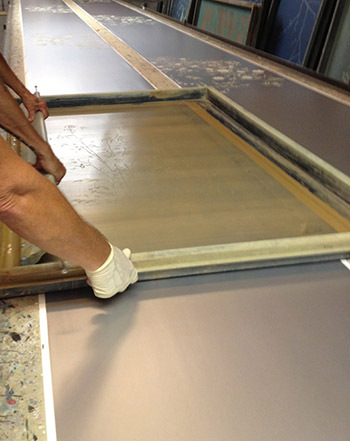 Many different substrates and custom specialty inks can be used to create the exact look and feel of products desired. 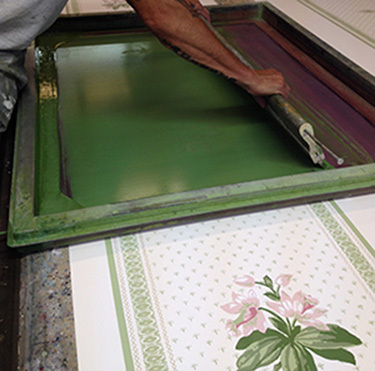 Only water based inks are used to maintain our commitment to being a green environmentally friendly company. 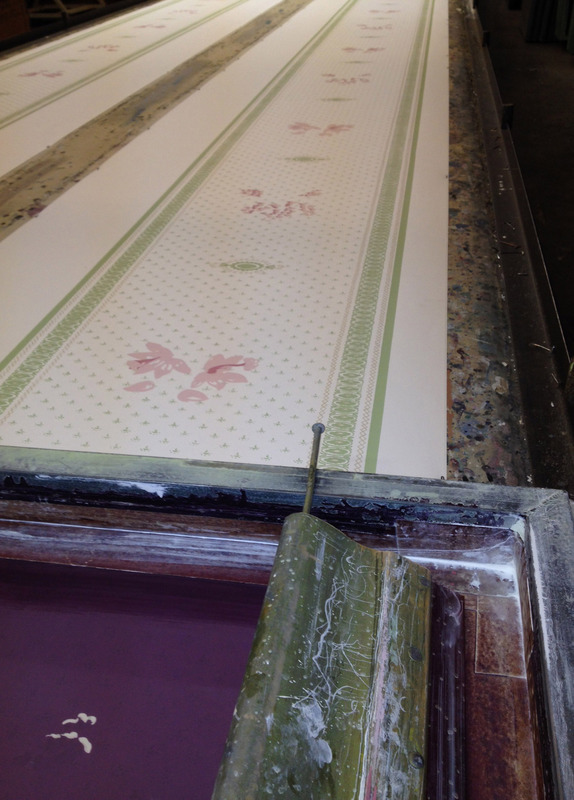 We are equipped to hand print small one color runs all the way up to large scale multicolor hand printed murals and custom designs.